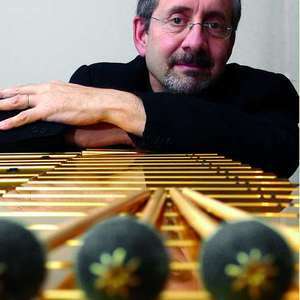 Dave Samuels Dave Samuels, with his distinct musical personality, has established himself as the top mallet player of his generation. He is recognized for his fresh new sound and creative approach to both the vibraphone and marimba. Dave has demonstrated his versatility and gained world wide recognition by performing and recording with a broad scope of artists ranging from Gerry Mulligan, Oscar Peterson, Chet Baker, Stan Getz, Carla Bley, The Yellowjackets, Pat Metheny, Bruce Hornsby, Frank Zappa, The Fantasy Band, Spyro Gyra, Double Image and The Caribbean Jazz Project. Throughout his career, Dave has been recognized by fans and critics alike for his quality in performance and recording. During his time with Spyro Gyra (1977-1994), the 5-time Grammy Nominated group was named #1 Contemporary Jazz Artist and Contemporary Jazz Group of the 80's by Billboard magazine. Dave's other awards include being voted Best Vibes Player in both Jazziz and Modern Drummer Magazine He received a Grammy in 2003 for ?Best Latin Jazz Recording? with his group, the ?Caribbean Jazz Project's?, CD, ?The Gathering?. In 2004 he was nominated a second time for a Grammy for ?Best Latin Jazz Recording? for the ?Caribbean Jazz Project's? release ?Birds of a Feather? and in 2005 was nominated an unprecedented third consecutive time for the ?Caribbean Jazz Project's? current release ?Here and Now ? Live in Concert? a 2- CD set of performances recorded at the Manchester Craftsmen's Guild in Pittsburgh.